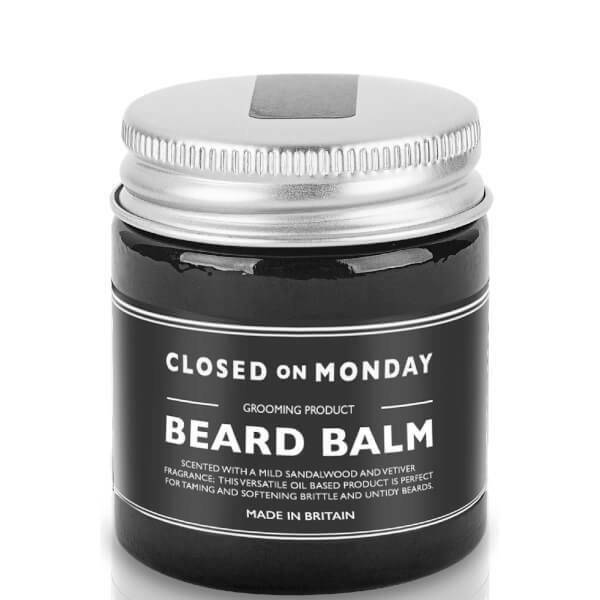 Tame unruly facial hair with the Closed on Monday Beard Balm, a smooth conditioning treatment that softens and controls hair with a permeable hold. Lightly scented with a subtle Sandalwood and Vetiver aroma, the oil-based balm leaves coarse and brittle hair looking shinier and more manageable for a smart, distinguished look. Apply to clean, dry facial hair. Use a thumbnail of balm and work between the palms of your hands; coating both hands and fingers. Work through your beard from the roots to the ends. Finally, if required, combing your facial hair will assist when defining your beard. Castor oil POE 40, Beeswax, Cetyl alcohol, Cocos nucifera (Coconut oil), Ceteareth 20, IsoPropyl Myristate, Parfum, Limonene, Linalool. My beard was getting a little rough with the cold weather coming in. 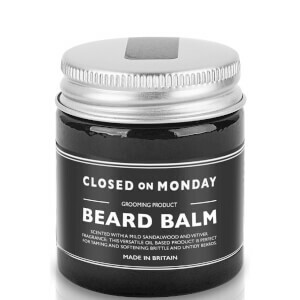 Since using this beard balm it's gone really soft and easier to manage. It also smells ace!